In the north-eastern corner of Europe there’s a construction site the size of a small country, with approximately 1.3 million people. We are sure you’ve heard about it in the news from time to time, because what is being built there belongs to the extraordinary: a place where things and people move fast, a yard of ideas manufactured by the bold and creative ones. A laboratory for innovation and change placed in an Ideal City, as intended during the Renaissance, where the harmony of proportions was a metaphor for order and good government. One would think that such a place must be imaginary, a depiction doomed to disappear with the sound of the alarm at 7 AM. What we love the most about this place, instead, is that it has latitude and longitude – and it’s called Estonia. Our country is one of those places where you can see your business ideas come to life. However, we won’t be the ones to fool you – there’s no magic formula for that, no spell that will turn your firm into a unicorn overnight. 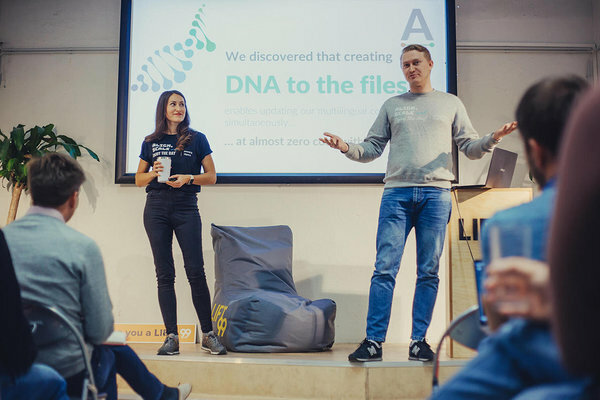 As it took years for us to transform Estonia into the perfect place to be for founders in Europe, you’ll need to roll up your sleeves to see the results. But like for all good recipes, something else comes before technique: ingredients. That’s why we have built the three pillars that can support your next business, three different kinds of capital crucial on the path to success: human capital, social capital, and financial capital. Whether we’re talking about tech companies in the financial sector or in robotics, in telecommunications or transportation, there’s one thing we must always keep in mind: there is always someone beyond and before the brand. Startups change, some of them come and go, but they all have a few things in common: employers, employees, people who contribute to make the machine work. The level of human capital can be measured by looking at the set of knowledge and skills, competencies and related attributes, that people acquire over time and are aimed to produce goods, services, or ideas – sounds too academic? Thanks, OECD. Education levels, creativity, expertise, work experience, social skills: all these factors determine human capital and determine the success or failure of a company. People matter because when founding or joining a company we bring with us who – more than what – we are. You don’t have to be a manager or a boss to start your own company. Among emergent entrepreneurs, for example, previous startup experience proves to be more significant than previous management experience. And that’s one of the reasons why the Estonian startup scene is so democratic – because if you have a good idea and people who support it, you can make it see the light. Our Startup Visa initiative is committed to give founders and employees from all around the world the possibility to be part of our ecosystem and choose Estonia as the right place for their projects and plans. Robotex International, competitions attracting thousands of participants interested in robotics and the latest technology innovations. Superheroes, aimed at teenage girls (13-17 year old) who want to make a difference. Cocoon by Contriber, an all year long, location independent program of Founder Psychology Mentoring. TechSisters, to inspire and educate women and girls in technology. Social capital - the power of networks. Connections matter! One of the biggest added values of the Estonian startup scene is that we know the importance of being a community. Founders talk to each other and share opinions and recommendations, mentors guide you through the stages of creating a success story, and people confront each other over what’s going on and what’s next in an environment that truly is a big, distributed social club. A club open to anyone with a good idea and the determination to realize it. Building bridges is in our blood, and establishing bonds and linkages is what makes us come together and work on the next big things. Having friends, parents, or neighbours in business increases the odds of being an emerging entrepreneur. But participating in a network of founders and experts, or being a member of a startup team, plays even a stronger role. If human capital is what distinguishes a founder from the rest of the population, social capital is the element with the most crucial impact in predicting the success of a first sale – or of the process of moving forward in your efforts overall. As you progress from entering the process of starting a company to making it work, social capital becomes a determinant of mere attempts turning into wonderful stories and case studies. 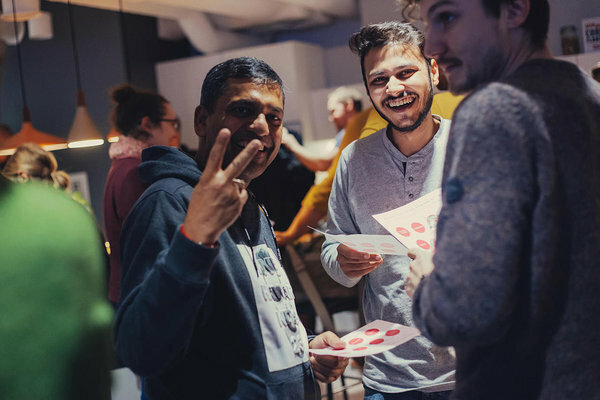 With a census of 550 startups up to date, Estonia provides you with the network you need to create connections, and the places to meet founders and people with the right suggestions. 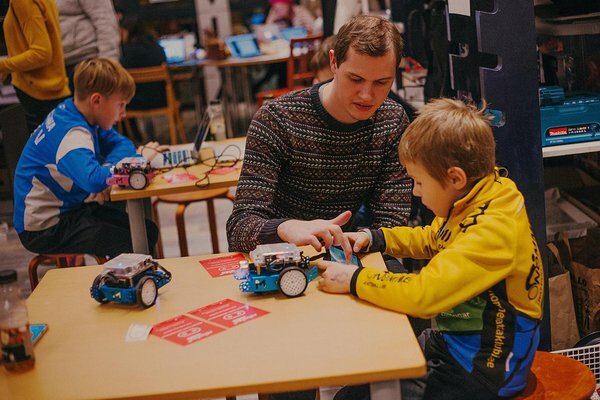 LIFT99 wants to connect founders and is well-known as the inner and outer space of Estonia’s startup community, and actors like Garage48 have organized more than 200 hackathons with notable success stories and a web of active entrepreneurs willing to guide nascent startuppers to new highs. Still unsure? Check our many events and join the community. We got there, because we all know the mantra: you think you came up with a world changing idea to transform the way we do things for the years to come, but money doesn’t grow like mushrooms in the forest and you need support. The financial aspect represents one of the core stages of establishing a business, and starting from scratch is always complicated. Fortunately, funding and funds are here to help you kickstart your company – because profits come from growth and market rules, but an idea worth investing in deserves to be explored. Estonia is a place of record breakers. We may be pretty bad at team sports, but our startups run fast: since 2011, the total funding raised by young Estonian companies has kept increasing non-stop, with unbelievable peaks reached exactly in the past two years. In 2017, our startups managed to double – and do even better – the total amount of investments of the previous year, and 2018 broke another record with 328M EUR of total investments. How does a country with 1.3M inhabitants, according to the projections, manage to raise 270 EUR per capita only through its startups? If you’re a fan of spreadsheets and you want to see how numbers change, you can follow our real time monitoring tool. However, the reason is that investors are also part of our community, and some of them are even current or former founders. 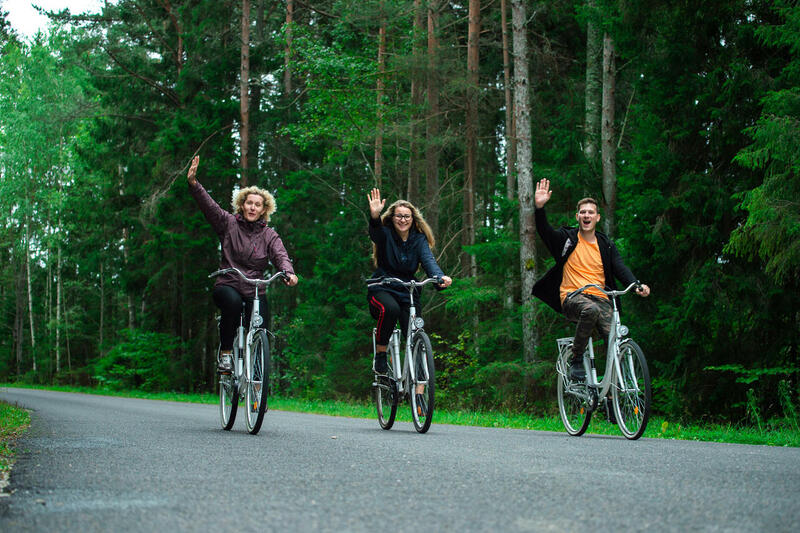 With a diverse system of private and public Venture Capitalist funds, in Estonia you can find the right people interested in giving the initial spark to your business. Public money from the European Union and the government flows into VC funds through Kredex and SmartCap, joined by other institutional actors from the banking sector such as LHV and Swedbank. Business angels and investors from the private sector (among others: EstBan, Fundwise, Funderbeam) and international Venture Capitalists complete the picture by aiming directly at startups. Let’s not forget that any entrepreneurial experience is first and foremost an act of courage, involving risks and fears. Success doesn’t come by chance - it is the result of a convergence between human elements, enriching connections, economic possibilities. That’s why we have made our country a laboratory for innovative ideas and brave minds. Have no doubts: Estonia has what it takes to be the perfect place to found your startup and build your business. This blog post is written by Federico Plantera - journalist, researcher, copywriter. With a focus on digitization, society and demography, Federico currently contributes with articles and interviews to the contents of e-Estonia, Startup Estonia, Il Fatto Quotidiano (Italy), ERR News, Ridango, and NIIS.